It appears that not only is Research In Motion (RIM) serious about selling itself off to a new owner- as was indicated last week when they hired Goldman Sachs to field offers – but there may even already be active negotiations with one of the largest cell phone manufacturers out there right now: Samsung. According to a report from BGR, speaking with sources close to the matter, RIM Co-CEO Jim Balsillie has been meeting with multiple companies about the potential for a buyout, but has been focusing the majority of his energy on talking with the king of the Android world, Samsung. Neither company would issue an official comment on the matter, which isn’t surprising, but if they are indeed in talks, it could lead to many interesting things in the world of Android. Should Samsung make this purchase, it’s unclear if they would be buying a part or the whole of the company, but the portion that te majority of people are focused on is the popular BlackBerry Messenger technology. If Samsung was able to get its hands on that and integrate it with the TouchWiz Android skin, they could have a tool that would truly set them apart from the rest of the flood of Android devices. Also reportedly on the table is other enterprise tools that have helped make a name for the BlackBerry brand, but it seems everyone is currently focused on BBM. Reportedly RIM is looking for somewhere north of $10 billion for a complete buyout, with the final figure said to be somewhere between $12 and $15 billion. This is far above its current market value of $8.5 billion, a number that some analysts even say is too high. Beyond the potential to integrate these popular enterprise features into their Android skin, or even possibly make full-on BlackBerry phones, the true allure for Samsung or any other company in buying RIM could be its patents. As we see more and more patent fights breaking out amongst the various phone manufacturers, the one with the most patents in their war chest could end up being the big winner. But is it worth somewhere between $10 and $15 billion? We’ll just have to wait and see. 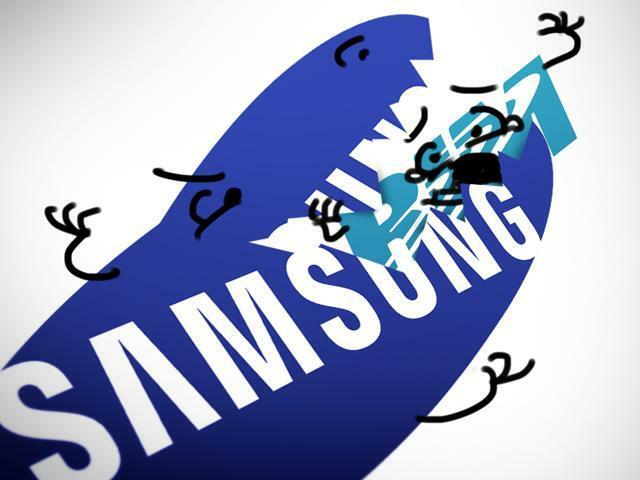 What do you think about the possibility of Samsung buying RIM? Would you be for it? Update: Per a report posted via Reuters, Samsung spokesman James Chung said the company was never in the running to buy RIM, nor was it ever approached by the Waterloo-based company. “We haven’t considered acquiring the firm and are not interesting in (buying RIM),” Chung said.